Craig Hella Johnson (b. 1962) is the Grammy®-winning founder and Artistic Director of Conspirare, the Music Director of the Cincinnati Vocal Arts Ensemble, and conductor emeritus of the Victoria Bach Festival. He was Artistic Director of San Francisco-based Chanticleer (1998-1999) and has served as guest conductor with the Austin Symphony, San Antonio Symphony, and many others in Texas, the US, and abroad. As the Director of Choral Activities at the University of Texas at Austin from 1990-2001, Johnson led the graduate program in choral conducting. In Fall 2012, he became the first Artist in Residence at the Texas State University School of Music. Johnson works with G. Schirmer Publishing on the Craig Hella Johnson Choral Series, featuring specially selected composers as well as some of his original compositions and arrangements. His works are also published by Alliance Music Publications. A unique aspect of Johnson’s programming is his signature “collage” style: through-composed programs that marry music and poetry to blend sacred and secular, classical and contemporary, traditional and popular styles. 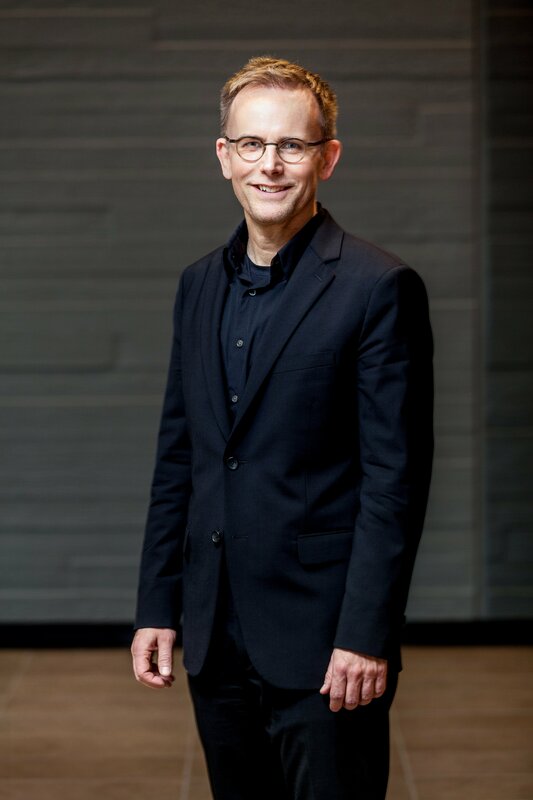 In 2006 he was engaged to create a special peace-themed collage program for the North Central ACDA convention, and in 2007 by the famed St. Olaf Choir to create and conduct a collage program during a five-week residency. Craig’s first concert-length composition, Considering Matthew Shepard, was premiered in 2016 by Conspirare. Johnson has been honored with numerous awards, including 2008 induction into the Austin Arts Hall of Fame, Chorus America’s 2009 Louis Botto Award for Innovative Action and Entrepreneurial Zeal, and the 2011 Citation of Merit from professional music fraternity Mu Phi Epsilon, the organization’s highest honor for a non-member. In 2012 he was an invited speaker for TEDxAustin. He was one of seven panelists for the Fetzer Institute and Eranos Foundation’s “Love and the Musical Arts” gathering in Switzerland in 2011. In April 2013 Johnson was designated the official Texas State Musician for 2013 by the Texas Legislature. The designation was recommended by the Texas Commission on the Arts after a competitive nomination process, and he is only the second classical musician to receive the honor in its eleven-year history. Johnson was awarded the 2015 Best Choral Performance Grammy® for conducting Conspirare on the CD The Sacred Spirit of Russia (Harmonia Mundi label). In June 2015 Johnson received The Michael Korn Founders Award for Development of the Professional Choral Art, Chorus America’s lifetime achievement award. A Minnesota native, Johnson studied at St. Olaf College, the Juilliard School, and the University of Illinois and earned his doctorate at Yale University. As the recipient of a National Arts Fellowship, Johnson studied with Helmuth Rilling at the International Bach Academy in Stuttgart, Germany. 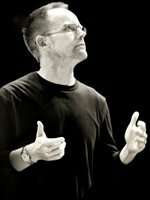 Conspirare performs a concert-length work by Craig Hella Johnson, a musical response to the tragic death of a young gay man who has become an American icon and a symbol for hope and empowerment. Johnson has set a rich variety of texts by Lesléa Newman, Hafiz, Hildegard von Bingen, Michael Dennis Browne, and others. Many Conspirare singers are featured as soloists, and the vocal group is joined by a small ensemble of strings, piano (Craig Hella Johnson), guitar, clarinet, and percussion. This recording was funded in part by a grant from the National Endowment for the Arts. On October 7, 1998, then-21-year-old Matthew Shepard was brutally attacked by two men, tied to a fence in a field outside Laramie, Wyoming, and left to die. His attackers targeted him for being gay. On October 12, he succumbed to his injuries in a hospital in Fort Collins, Colorado. This horrific chain of events became one of the most notorious anti-gay hate crimes in American history and spawned a new generation of LGBTQ civil rights activists. All of us who knew him, and millions who did not, joined in grief and outrage and demanded the world change. In a first step, his parents formed the Matthew Shepard Foundation, to spare other families from similar tragedies. Matt’s life and death have inspired a rich array of artistic works, including Tectonic Theater Project’s plays The Laramie Project and The Laramie Project: Ten Years Later; Lesléa Newman’s poetry collection October Mourning: A Song for Matthew Shepard, Melissa Etheridge’s song “Scarecrow” and Elton John’s “American Triangle,” Michele Josue’s documentary Matt Shepard is a Friend of Mine, and Roger Spottiswoode’s feature film The Matthew Shepard Story. 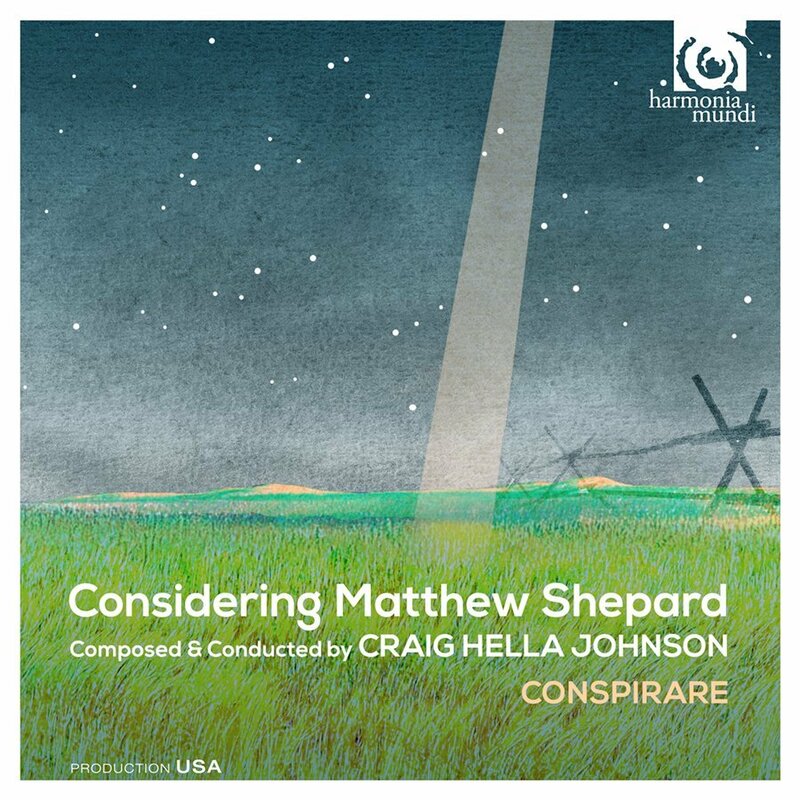 Now joining this canon is Craig Hella Johnson’s Considering Matthew Shepard. This extraordinary composition captures the fullness and complexity of the time of Matt’s life and the missing piece revealed by his death. It pulls the lens of human understanding farther back around one man to show his place in the world, and the world’s new place, without him. Considering Matthew Shepard pays a priceless tribute to Matt. We at the Matthew Shepard Foundation believe that for years to come it will advance our work to replace hate with understanding, compassion and acceptance.